Wow! Where did the spring go?! And now the summer has passed as well. A growing garden points out the never ending cycles of the natural world in a unique and intimate fashion to those of us who work the garden. 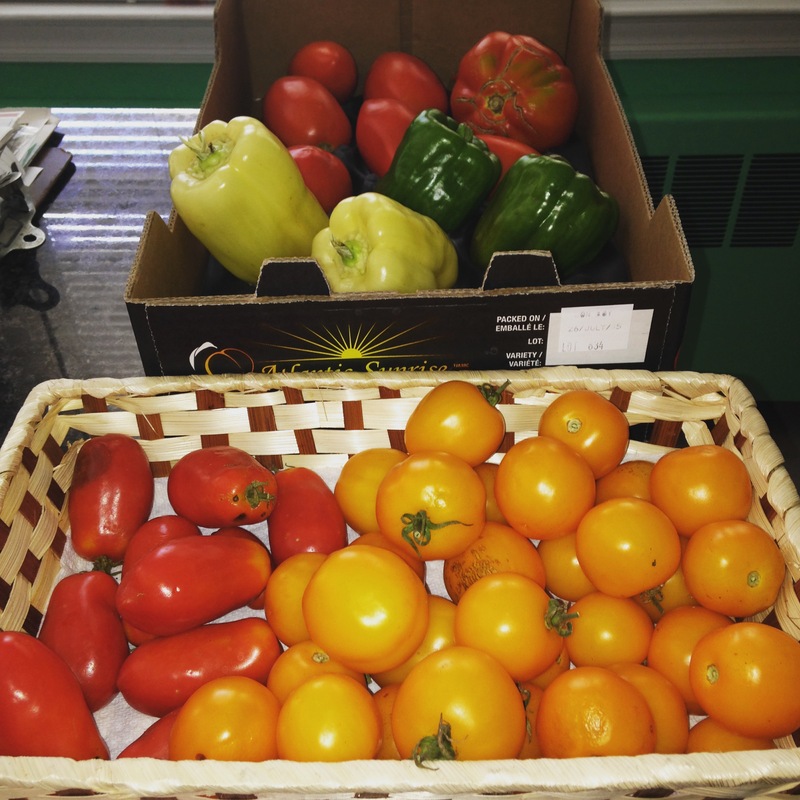 We’re through September now and we’ve picked the last of the tomatoes. 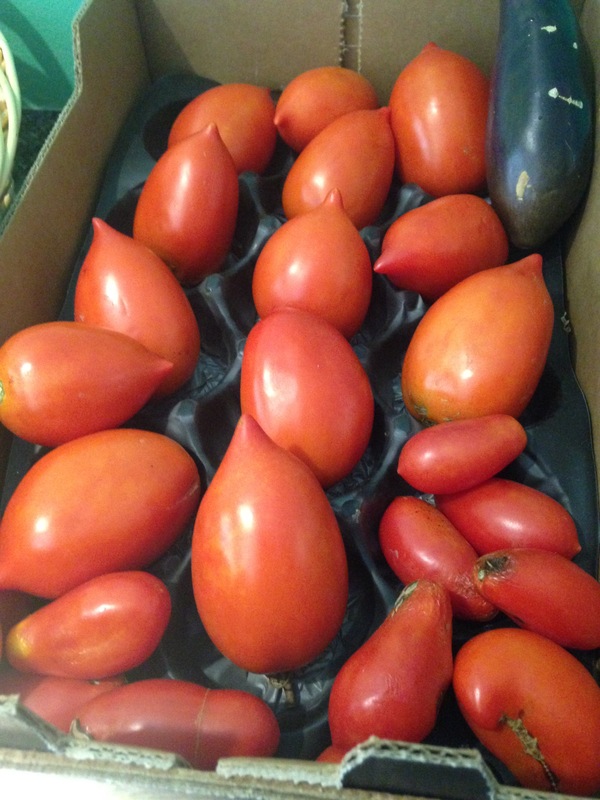 We like TOMATO PIE and TOMATO BISQUE and we’ve made lots of sauce from the SAN MARZANO tomatoes we grew. Now it’s in the freezer waiting for winter meals. At this time of year the peppers are still arriving though it’s slowing down a little bit. 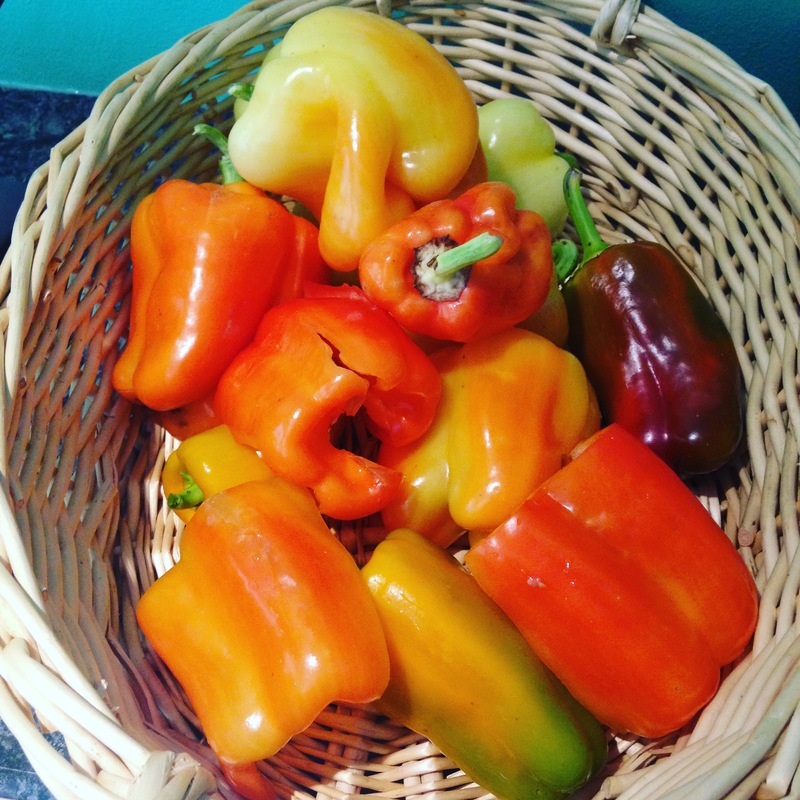 As long as the sun shines and the temps are in the 70’s and sometimes 80’s, the peppers will keep producing. 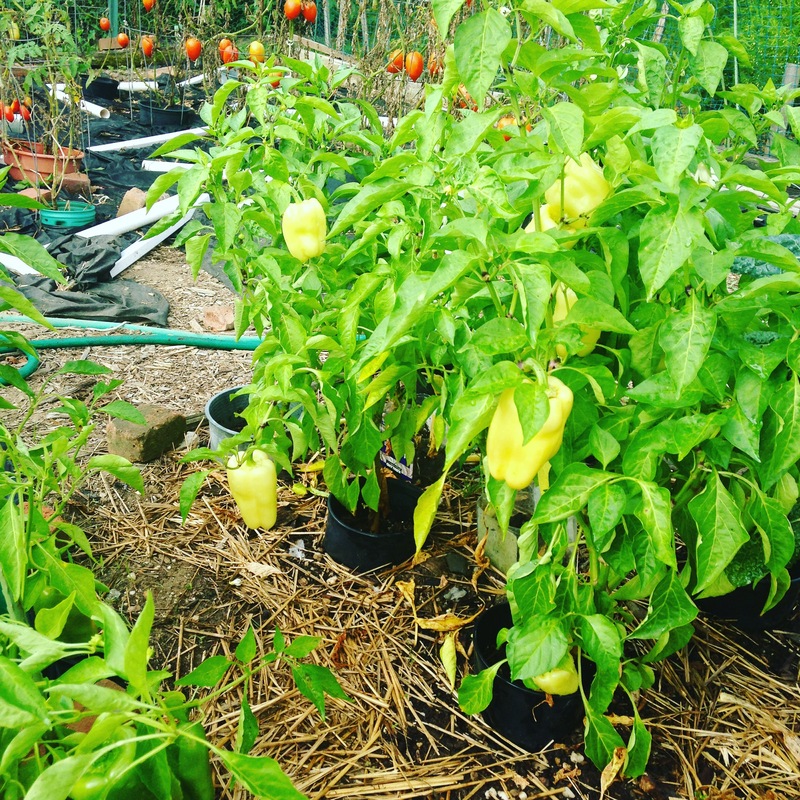 Our plants are of the California Wonder, Yellow, Lime and Green Bell varieties. 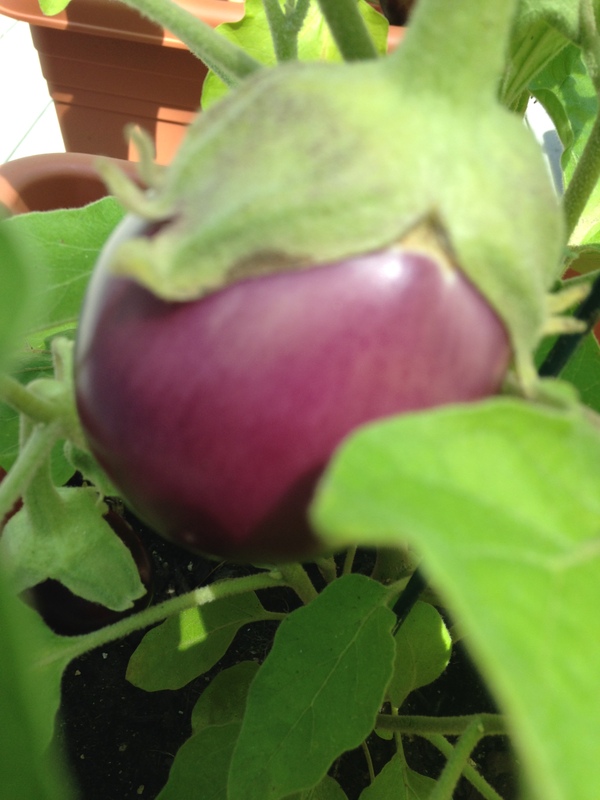 The eggplants are also on their way and by end of September there should be a good harvest. Not as awesome as last year’s crop, but we’ll get enough to eat and freeze for the winter. We are growing them in pots on our deck. The deck heats up in the hot sun which keeps the roots of the plants warm all evening. The small black mites that plague the eggplants at the farm plot are not present here in my yard. That’s a major plus too! 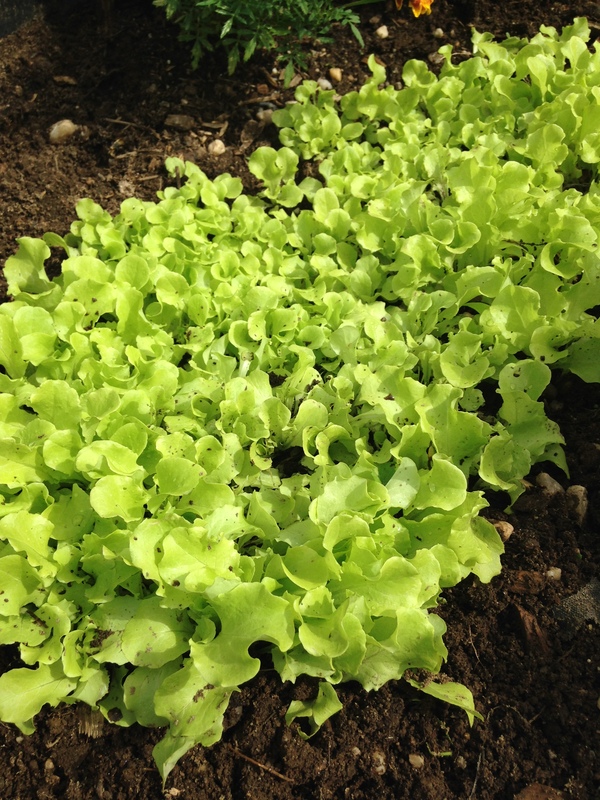 The cooler weather is great for SIMPSON LETTUCE and an additional planting of beets. We love beets! I cook ‘em and pickle them for a tasty spicy treat all winter. AThis year after we picked the garlic, we added organic fertilizer to the soil and put in zuchinni. Though the plants and the flowers looked awesome, so far we’ve only taken a few. 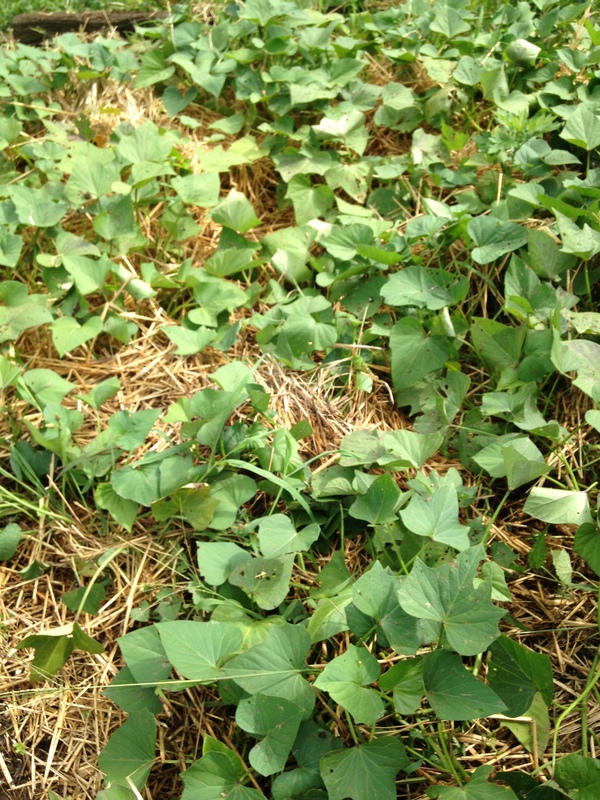 We have a patch of sweet potatoes that’s looking good. We’ve never grown them before and we’ve been told that when the leaves turn brown they are ready to dig. The vines look strong and full and I’ve trimmed them a few times so we are hoping for a good yield. With all potatoes, we bury the leaves in hay and peat moss, which make the plants produce a crop closer to the surface and easier to pick. 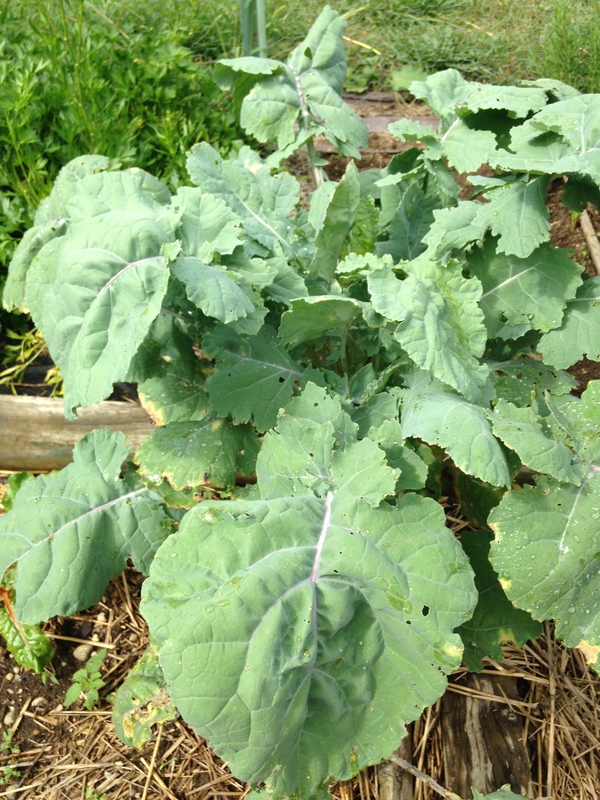 The kale will continue to produce well into October. We eat as much as we can and freeze the rest. Also give away quite a bit as the plants produce a huge amount of edible leaves. This year we decided to do some cabbage. The heads we got were smaller that what you can get in the grocery but they tasted good when we made the Polish dish Haluski with them. In the next few weeks as the remaining plants begin to die away we’ll be cleaning up the plot and getting ready for winter. This week we’ll be planting next summer’s garlic crop. In a couple of weeks when the shoots come up, we’ll do a light mulching. nLast year’s winter was really tough on the environment but the garlic crop turned out to be a good one with nice large bulbs. 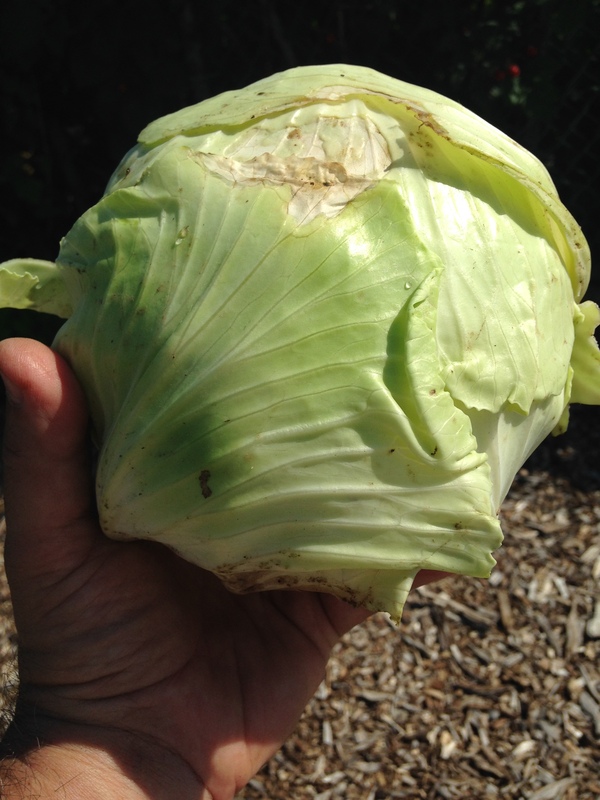 Got some good gardening tips for growing organic veggies on Long island? We’d love to hear from you. Almost time to rake leaves and then soon after…dare I say it…shovel snow! 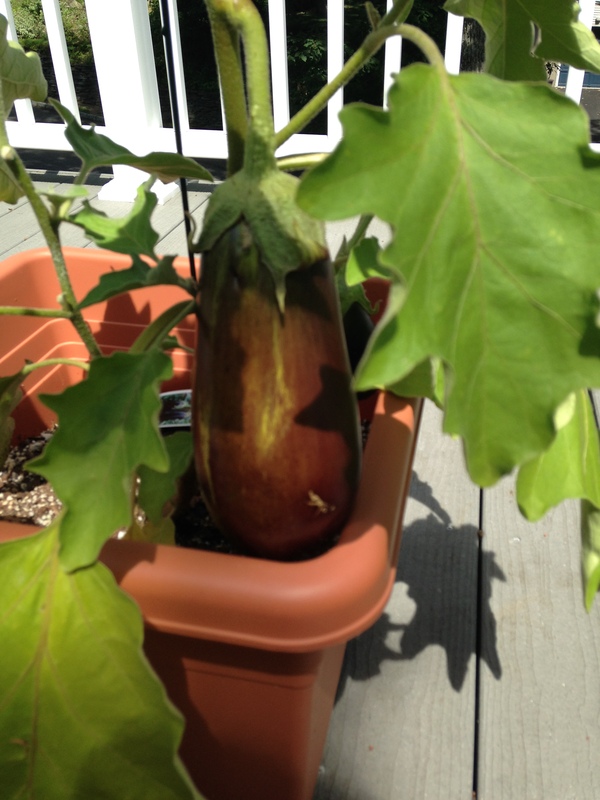 This entry was posted in Gardening, Growing Vegetables and tagged Eggplant, growing kale, growing peppers, growing sweet potatoes, growing tomatoes, growing vegetable on Long Island, organic vegetable garden, Tomato. Bookmark the permalink.